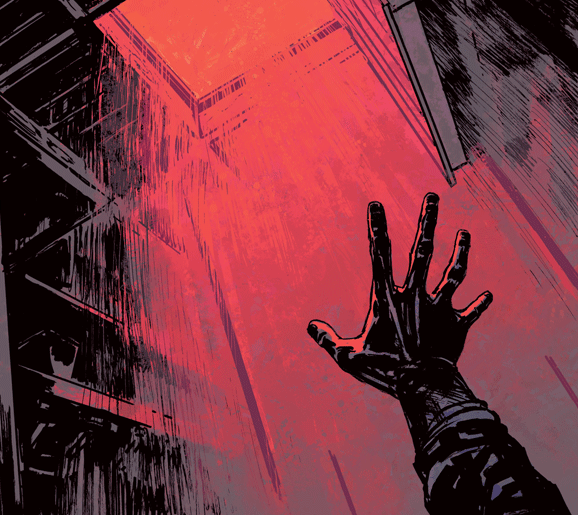 Shanghai Red #3 review: From false confidence to real fear – AiPT! Vengeance stories come and go, but this one is quickly proving to be one of the best. Christopher Sebeala’s and Joshua Hixon’s Shanghai Red has been a gorgeous revenge story that does things a little differently. Many vengeance stories delve into the psychological toll that seeking retribution can take, but the Image Comics book goes one step further. Molly/Red/Jack are not three parts of one character. They are three different people. This deep examination along with an action-packed story have made Shanghai Red a pleasure to read. The first two issues of the comic have done an almost even split in regards to the action and the exposition. “In This Wilderness” has a more patient pace. Taking place just a few days after the previous issue, Molly is being nursed back to health by her sister and the others who work at one of Portland’s brothels. The interaction between Molly and Kate are the highlight of the issue. Thankfully, Sebela does not go the route of “don’t I know you from somewhere?” and instead jumps straight into the emotional reunion of the two sisters. Kate (when Molly refers to her as “Katie” her sister is quick to chide her, saying that no one has called her by that name since their mother died) is easily the most natural character of the series so far. Her reaction to what her sister has been doing is how most people would react. At first, she does not believe Molly has been doing any of the killing, she slowly but reluctantly comes to accept it, and by the end of the book she is halfheartedly passing information on to her sister. There is no sudden change of heart — she just comes to accept that Molly is going to go about her crusade. Less enthralling is the interaction between Liz — the owner of the brothel — and Molly. The moments they have together do a wonderful job of world building. The readers learn how difficult it was to be a woman in Portland at the time, the corruption that had earlier been hinted at is expanded upon, and Liz’s role in Molly’s abduction is revealed. All of this is great at adding to the setting, but the actual scenes play out as forced. Sebela seems to know this as early in the conversation, Liz makes a comment that the talk will not be fun. Even worse is an odd standoff the two have. The entire scene lacks any tension and just sort of happens. This misstep is redeemed by the end as Shanghai Red comes full circle. The entire moment is beautifully played out. For the first time, genuine fear is seen on Molly’s face. Hixson’s art does a great job of showing that Molly is a normal person which adds to the gravity of the situation. Molly has taken her lumps during the series but has always been almost superhuman. The added level of depth adds to the troubled character. Shanghai Red remains an outstanding book. Hixson’s art adds to the tone of the book, while Sebela weaves a tragic tale of revenge and sanity. Vengeance stories come and go, but this one is quickly proving to be one of the best.